MOMS membership is open to any mother of multiple birth children, multiple children born within six months of each other, or anyone expecting multiples in the greater Denver, Colorado area. If that's you, we'd love to have you join us! Thank you to all of our volunteers, vendors, consignors and shoppers for a great spring event. Save the date for our next sale on Saturday, August 17th at the Douglas County Fairgrounds! Click here for more information on becoming a consignor at our next sale! 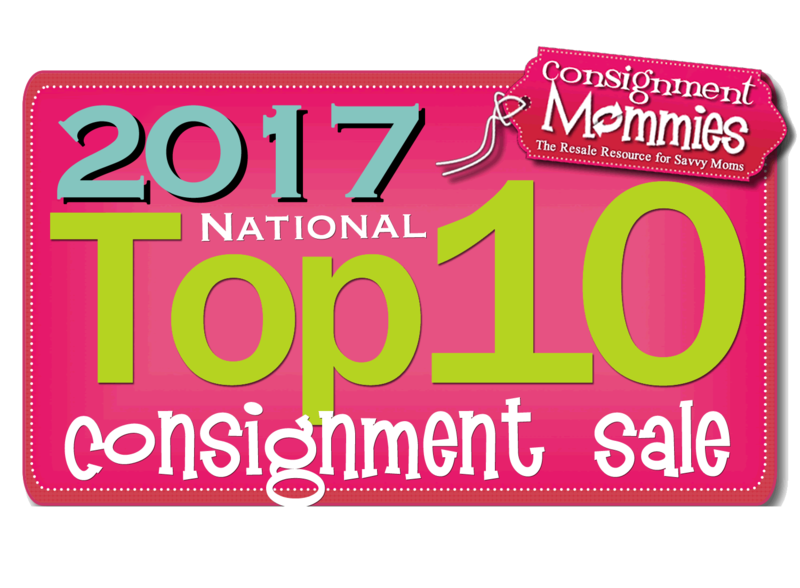 Awarded Top 10 Consignment Sale! Mothers of Multiples is proud to be supported by these companies. To advertise your business, click here. Ever wonder what goes into putting on the Kids Consignment Sale by MOMS? Take a look at how we create this one-day POP-UP Shop! Be sure to have your volume turned on. Shop at the Sale, Sell at the Sale! FREE Admission to the Kids Consignment Sale by MOMS! The Mothers of Multiples Society (MOMS) is a non-profit, 501(c)(3) support club for parents of twins, triplets, quadruplets, in the Denver metropolitan area. Our flagship fundraiser, the Kids Consignment Sale by MOMS, takes place semi-annually in the Spring and Fall. Named one of the Top 10 Consignment Sales in the country, proceeds from the sale go toward our mission of keeping kids safe. Our goal is to educate members and the community in order to help keep kids safe from sexual predators, safe from car accidents, and safe within their surroundings. In addition, the club offers members a variety of social, educational and support programs and resources - everything a multiples mom could need. Whether it's expectant, new, or experienced parents of multiples, we have ongoing education, resources, support, networking, social opportunities, and fellowship with an emphasis toward family participation. MOMS was founded in 1993 and is now one of the largest twins clubs in the nation. Interested in Sponsoring the Kids Consignment Sale?